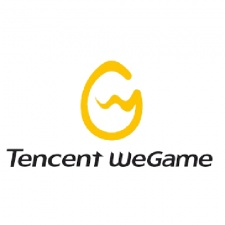 Chinese tech and entertainment giant Tencent has quietly launched an international version of its WeGame storefront. An Early Access version of this - dubbed WeGameX - is now available, hosted in Hong Kong and is pretty bare bones. The platform features just 30 games at the time of writing, with the majority of these being from Chinese firms. The website, however, does list Deep Silver, Larian Studios and Hello Games as being on board. Speaking to Abacus News, a Tencent rep said that this is going to be developed over time. “WeGame X is a product WeGame is testing to serve its global users,” they said. Tencent's plans to bring the WeGame platform to the international market were outed in July 2018, following a China-only launch in September 2017. Perhaps to counter this challenge, Valve has teamed up with local firm Perfect World to launch an official version of Steam in China. The platform is currently available in the region but it exists in something of a legal grey area. Tencent's store is the Chinese corporation's latest play in video games. The firm owns League of Legends maker Riot and has stakes in companies including Activision Blizzard, Ubisoft, Epic, Supercell and Frontier Developments.